We are now taking reservations for the seating available at 2:30 pm. 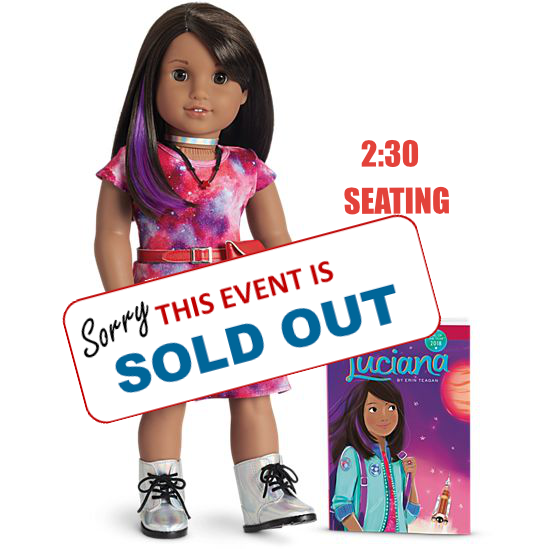 Besides tea, we will also be sponsoring a raffle for Luciana, American Girl’s 2018 Doll of the Year!. We will also have other fun and exciting activities. Please choose the number of adults and children to attend the 2:30 pm Seating.